Romfil GmbH is aware of REGULATION (EU) 2016/679 OF THE EUROPEAN PARLIAMENT AND OF THE COUNCIL of 27 April 2016 on the protection of natural persons with regard to the processing of personal data and on the free movement of such data, and repealing Directive 95/46/EC (General Data Protection Regulation). 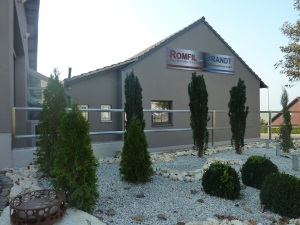 The products, services and offers of Romfil GmbH do not address to natural persons. They address exclusively to customers, prospective buyers and interested parties in the business to business market. The business partners are according to this businessman. Romfil GmbH collects and saves data that are needed for the initial phase of contract or contracts of services and offers. Data of interested parties are collected and later on deleted according to Regulation (EU) 2016/679. Our website, including our social media sites (Facebook, Twitter, Instagram) are just for information. We do not use any cookies and we do not collect individual-related information or data about user or visitors. We inform that every visitor of social media sites is responsible for his or her data him- or herself by setting the privacy level individually in his or her account settings.